This slick-mix of classic sit-com slap-stick musicality descends at points into the vast realms of morality-tale-land but on the whole offers a humongous slice of sugary sweet entertainment. 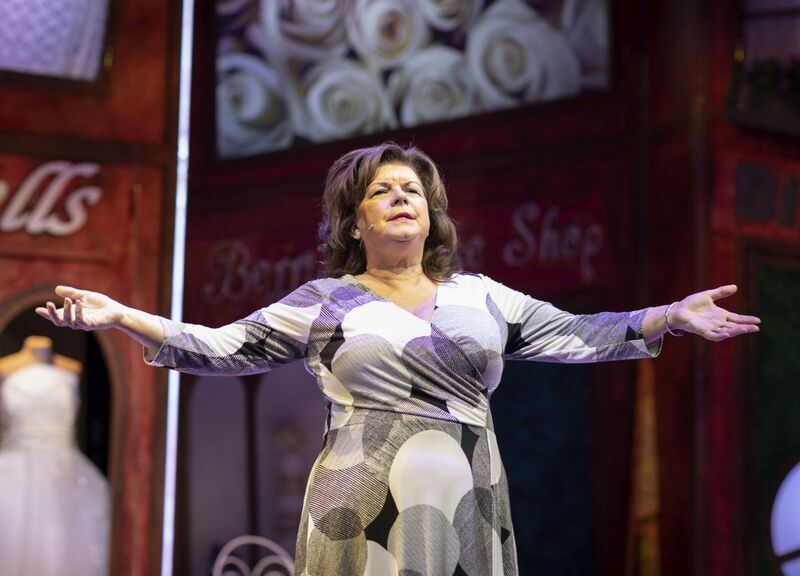 As the title strongly suggests, fat is to the fore in this production and fans of the original Kay Mellor TV comedy drama will not be disappointed with this portrayal of positive body imagery. Originally aired on prime-time TV some fifteen years ago as the sit-com Fat Friends, the musical story-line follows the fortunes of Kevin and Kelly as they approach their wedding day. With a mere six weeks to go, the supersized Kelly sets her sights on shedding a good few pounds in a determined effort to fit into the wedding dress of her dreams. Not for her a tale of ‘does my bum look big in this’. More like ‘can you zip me up sometime during the next few weeks please’. But, its all in the best possible taste of course. However, shades of Shylock’s pound of flesh in the form of slimming guru Julia Fleshman – menacingly played by Atomic Kitten Brit-pop girl Natasha Hamilton – cast a dark shadow on proceedings when, in pursuit of her dream day, Kelly unwisely binges on the slimming pills. Inuendo, some profanity and a good measure of double entendre litter this production with classic lines such as clumsy Kevin’s ‘I thought rats were going to come and eat my tadger’ and Kelly’s verbose ‘Diets are shite’. The songs in the main are quite bearable. Most memorable of the bunch are Chocolate and Beautiful. Chocolate parodies those raunchy Cadburys Flake ads from the 1980’s and pulls no punches. Jodie Prenger’s powerfully delivered end of Act One solo Beautiful ‘For just one day I want to be beautiful’ is truly heart-warming. Ms Prenger can sing, and dance and enthral. Indeed, she punches high. Although perhaps not in the slimmer of the year category, Fat Friends the Musical, delivers a good measure of lively and at times hilarious entertainment and, despite some flaws, the musical will no doubt delight fans of the original TV show plus a good few of the uninitiated amongst us. 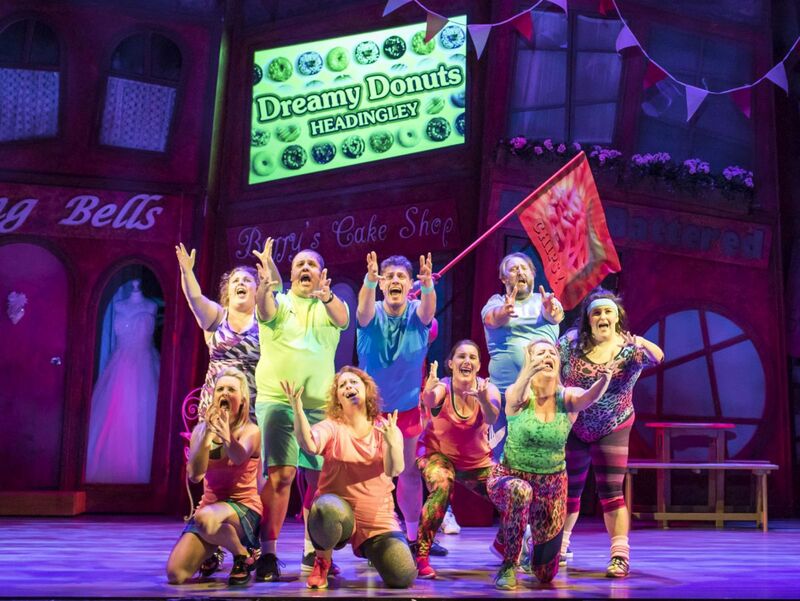 Jackie The Musical At HMT – Duncan Harley Reviews. The Kite Runner @ HMT – Duncan Harley Reviews Aberdeen Athletes Take Belfast By Storm.